"Publication. Moi, le Commandant d’Etapes, je me charge a [sic] partir de ce jour de l’administration de l’Etape Compiègne ... Compiègne, le 4 septembre 1914. (signed) SABATH. 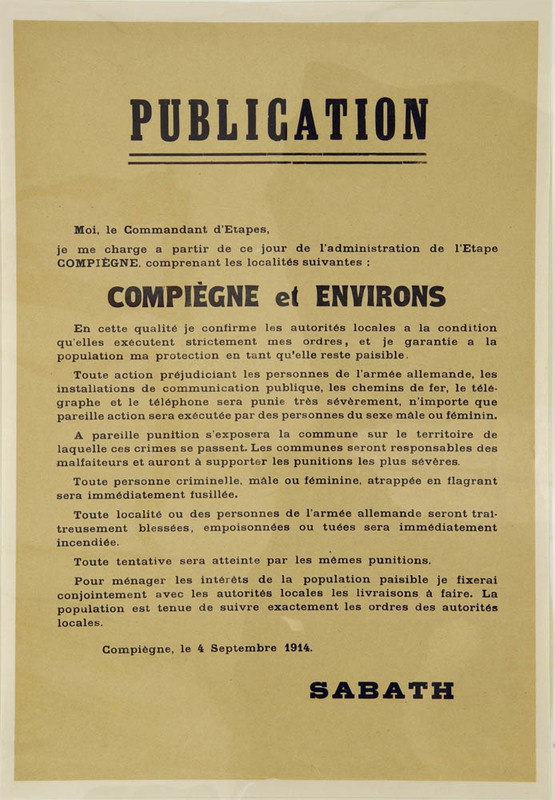 Poster with rules and regulations for the occupied city. The spelling and grammar of the text is sometimes lacking.